Celebrating Joss Whedons long-running television series Buffy the Vampire Slayer comes the Faith Statue. 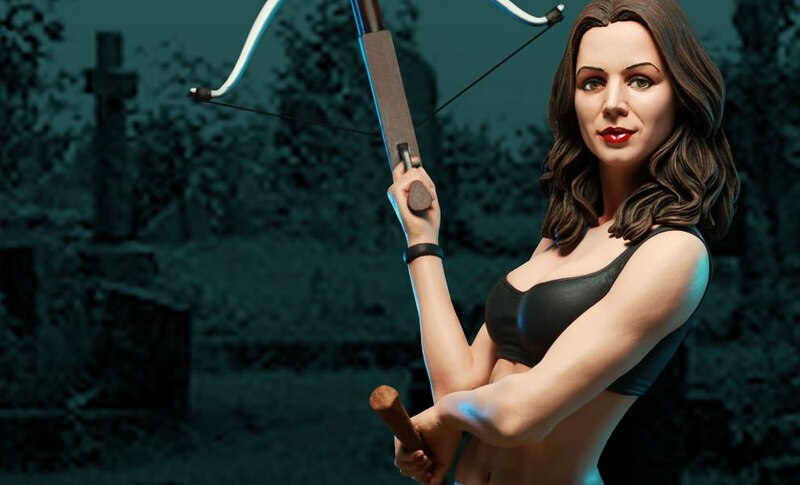 This detailed sculpture presents the impish second Slayer, crossbow and stake in hand, ready to take on any vamps that cross her path. Each piece is individually painted and finished with unique quality and detail that is the trademark of a handcrafted Sideshow Collectibles product. The Faith Statue is an outstanding addition to any collection, a must-have for all Whedon fans. Additional switch-out right hand holding knife for customizable display. Finally our favorite bad a** slayer! Hope you keep this line alive. I agree Cordelia would be a great figure to add to this line!! You Think I'd Wake Up and We'd Go for Tea? I'm so glad to be the owner of an exclusive piece! Faith is hands down my favorite character in Buffy, and this statue is definitely my favorite in the line so far. She's a piece of beauty that is a must for any Buffy fan! As always another quality piece from the good people at Sideshow. I could not be happier, Faith has never looked so good! Also she arrived just in time for my birthday which was a super plus! So thanks again to everyone at Sideshow, you are all awesome but you already know that! Have Faith at last! Love the comic book inspired pose and attention to detail including the tattoo. Displaying Faith with either the standard crossbow or with the exclusive dagger really sets this piece apart. Looks great next to B and Red! Excellent work Sideshow. Now if we can just get Cordelia!